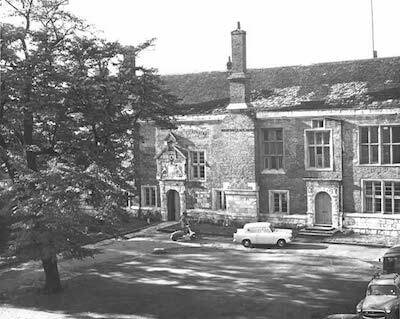 The University of York Outdoor Society was founded on the 19th of October 1964, making it one of the longest running societies at York. It all started when a group of friends in the Kings Manor JCR came up with the idea to create a rambling society to take advantage of the wonderful countryside surrounding York and to take a break from the daily academic grind. On the 29th of October the first meeting was held in Kings Manor and after some discussion, "Outdoor Society" emerged as the favoured choice for the name of the new society. By the end of the first week 50 members had signed up, each paying 4 shillings (4/-) for the privilege. The first walk was to Rievaulx Abbey and Helmsley, which took place on Sunday the 15th of November. 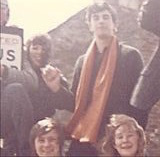 Later trips included Richmond, Fountains Abbey and Whitby. Many thanks to David Corkill, a University of York alumnus and one of the members of the original Outdoor Society committee, who kindly provided us with this information. A photo from the first walk at Helmsley. Shown from the upper left going clockwise are Bill Shiels, David Corkill with his girlfriend Beate, Rosie Oxenford and Dave Rockliffe.